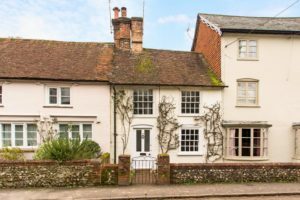 The Country House Company has been appointed to sell this delightful cottage in the centre of the highly sought after village of Buriton. 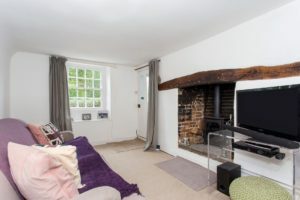 25 offers 2 bedrooms, large bathroom and a home office/occasional bedroom upstairs and a charming sitting room, generous kitchen/dining room and cloakroom downstairs. 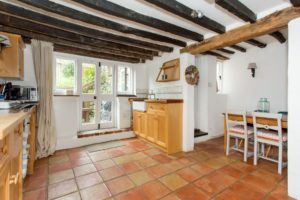 This Grade II listed cottage enjoys a good deal of natural light and no restricted ceiling heights other than on the top floor in the home office. The guide price is £450,000. 25 is full of character with many period features and some skilfully incorporated more contemporary touches such as the striking bathroom with a separate shower. The kitchen/dining room has an excellent ceiling height, attractive beams and versatile space for dining/sitting. The west facing, mainly lawn garden is reached from this room. The two bedrooms are both generously proportioned double rooms and one overlooks the garden. The bathroom is unusually large with bath and separate shower. There is a further staircase from the first floor landing that leads to an attic style, home office room which also has some beams and a conservation roof light. 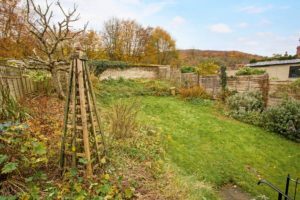 Almost opposite the cottage is a detached tandem double garage with enough space for a workshop if required. This is a rare feature for Buriton. 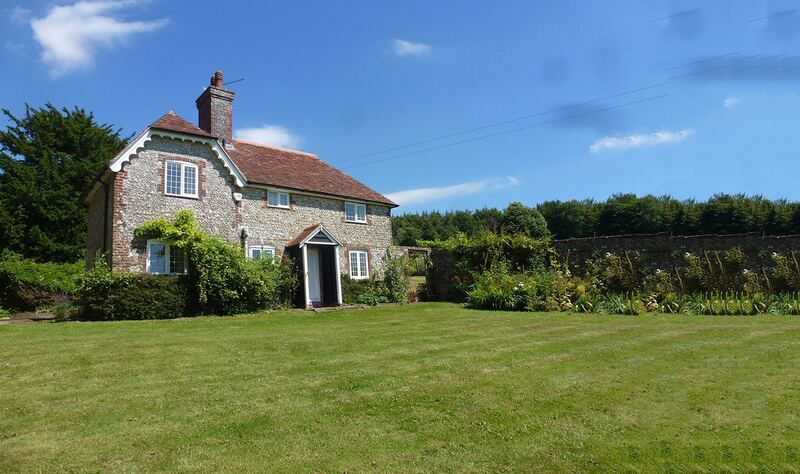 Buriton is highly regarded and very picturesque with a large pond, historic church and undulating countryside surrounding it which provides numerous recreational opportunities including walking, cycling and riding. A primary school is also well regarded and very popular and although not to be quoted in the same sentence perhaps, two pubs! For a viewing please call Patrick on 02392 632275.